is an independent historian of early modern Britain and Europe. Her latest book is If I Lose Mine Honour, I Lose Myself: Honour Among the Early Modern English Elite (2017). She lives in Edmonton in Canada. But this is a very thin and misleading idea of honour in early modern England. Personal letters and diaries of elites indeed reveal a preoccupation with honour, a sense of its almost inestimable value. They also reveal that honour wasn’t just about violence among elite men or sexual propriety among elite women. Honour concerned one’s whole person. Likewise, it was less a static, overarching code of behaviour than a loosely defined concept with an array of meanings that could be variously privileged, one over another, with fluidity depending upon the needs and objectives of an individual in a given situation. Despite the picture in popular imagination of a period replete with duels over matters of honour, most people viewed violence as a transgression. Those who engaged in violent behaviour risked damage to their reputation. Indeed, while confrontations between elite men were not unknown, an inability to control one’s temper was judged a characteristic of the young, the intemperate, and (perhaps most damningly) the female. As Helkiah Crooke wrote in his Mikrokosmographia (1615): ‘anger is a disease of a weake mind which cannot moderate it selfe but is easily inflamed, such are women, children, and weake and cowardly men’. Elite men wanted to be included in the business of the world and they did so by securing, through patronage, positions of local authority. A pose of restrained maturity in the face of provocation aided men’s quest for patronage and responsibility. Failure to control oneself could amount to a reputational disaster. For example, in 1603, after an affray with a Sir John Digby, the poet Sir John Suckling saw his reputation desert him. ‘Sir John Suckling, in place of repairing his honour,’ remarked an observer, ‘hath lost his reputation for ever.’ Likewise, as William Martyn noted in Youths Instruction (1613), his conduct book aimed at the rearing of the young, ‘he that soweth vertue shall reape honor’. Even in the course of disputes, gentlemen often insisted, as Richard Draycote did in 1610, that in their anger they had not ‘broken the boundes of gentilitie’. 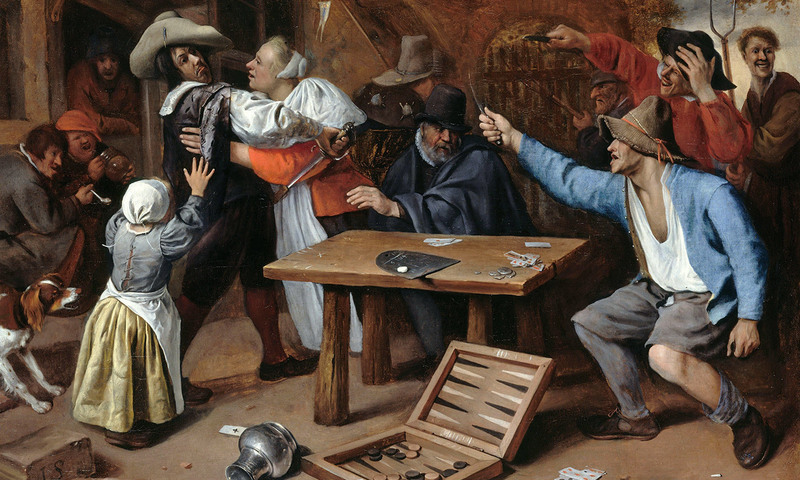 In the course of a violent confrontation, many men claimed to be acting in defence of honour. Yet constraining violent impulses brought true honour and social authority to early modern elite men. Likewise, distancing themselves from the more violent and unconstrained behaviour expected of the lower social orders served to reaffirm gentlemanly status. Like elite women, men also cared for their sexual reputations. An inability to control one’s desires brought the disrepute of immaturity, and thus incomplete masculinity. For elite women too, honour consisted of far more than just sexual reputation. It’s true that slander litigation initiated by early modern women disproportionately addresses sexual reputation. The term ‘whore’ and its synonyms appear regularly in these suits. But it’s also true that elite women conceived of their honour as vested in displays of proper motherhood, efficient housewifery and domestic management, economic honesty, and involvement in networks of sociability. In a 1601 letter to her nephew Sir Robert Cecil about a legal conflict over property, Lady Elizabeth Russell exclaimed with exasperation: ‘I howld my Honowre more dere then my life.’ Her point was that she had acted fairly in the matter. Lady Russell saw her honour as tethered not to her sexual reputation but, rather, her honesty in a commercial relationship. Accordingly, in his tract The Excellency of Good Women (1613), Barnabe Rich noted that a truly virtuous woman would satisfy the man ‘that wanteth a friend for pleasure, a seruant for profit, a counsellour to aduise him, a comforter to cherish him, a companion to solace him, a helper to assist him, or a spirituall instructer to informe him’. Like their male counterparts, elite women also played pivotal roles in the early modern household. As Gouge articulated in Of Domesticall Duties: ‘the wife is by Gods prouidence appointed a ioynt gouernour with the husband of the familie’; similarly, in A Godly Forme of Houshold Government (1621), John Dod and Robert Cleaver expressed the view that wives properly ‘oversee and give order for all things within the house’. Consequently, elite women more often asserted their honour in connection with their roles as wives, mothers and household managers than they did in relation to a reputation for chastity before marriage, or fidelity within it. Because their honourable reputations also rested on their authority within household management, any questioning of domestic competence could elicit real anger or defensiveness from elite women. Thus, when the landowner Thomas Thynne did not heed the advice of his wife Maria concerning household matters, she retorted: ‘I am both Sory & ashamed that any Creature should see that you hold such a contempte of my poore wyttes, that beinge yr wyfe, you should not thinke me of discreation to order (accordinge to yr apoyntment) yr affayers.’ Thomas’s doubts about Maria’s authority in household matters, in other words, dishonoured her. In brief, honour rested on more than just a willingness to utilise violence in defence of a good name (in the case of men) or sexual reputation (in the case of women). Just as the 21st-century concept of image results from diffuse and various elements, so too honour drew on too many aspects of any one person to be built on a tidy gendered dichotomy.